Animal welfare is at the core of our business practice and we take it extremely seriously. We adhere to a strict hygiene and cleaning regime which we carry out daily. Our guests have close contact with people from early in the morning until late at night, and are let out for regular walks and play. We also recommend that you bring as many things from your home as you can, such as your dog’s own bed and favourite toys. Again, we do provide beds and toys at no extra cost. There’s plenty of room, so feel free to bring anything. The more it all looks and smells familiar, the more your dog will feel comfortable and at home. Just popping out for the day? Don’t leave your dog at home – treat them to a day out at Orchard House Doggy Day Care and let them have some fun! Contact us now to secure your dog a place in our luxury canine care kennels. 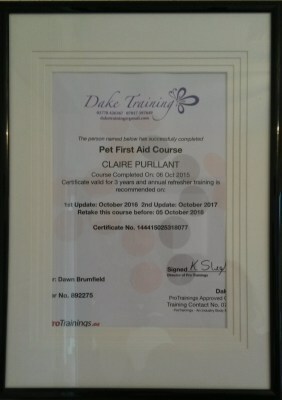 We do require all dogs entering our kennels to be fully vaccinated up to date including Kennel Cough, Micro-chipped and wearing a collar and lead before entering our reception and kennels please.